Thank you for your cooperation, for these rules are as strict as strict can be. Umm is this sarcasm? Cause at the moment, I see no rules in this FAQ. Yes correct I couldn’t see anything it’s blank. Why are the chapters cut in half? …You are a mighty troll indeed. Seriously though, you put nothing in the FAQ because “[You] don’t know what to put here” and then don’t answer the comment because it’s a frequently asked question LOL. I’m actually laughing right now. NOO i am human and almost exactly 1 year ago when this site started i answered that question 20 times so i was just copy pasting that answer to every comment asking since i have limited time. Their Split because Zebulin split it. hi, how do i subscribe through email for new posts? Um….Am i supposed to be getting re-directs to those dodgy ads when I’m using the mobile ver? cause I feel like im gonna get a virus any minute…. I don’t want my already breaking phone to becoming a brick. Don’t get me wrong, have nothing wrong with your ads…. but when I get re-directed after a minute of reading a post, it’s real worrying. I apologize we are testing things out, and it shouldn’t happen but sometimes advertisers sneak stuff in they aren’t allowed to. I’m getting this too, so many redirects that I went and got adblock for android which is painful as crap, because when you are using it if adblock crashes you have to restart it to get internet again due to the proxying on port 2020 you have to do. Hey Dezzter is this recent? if it is i think i know the perpetrator and can get rid of it. Just wondering if there’s going to be any updates at all. “We aren’t even a week old so there hasn’t been time for this yet,” has been written above since at least late May (2015). I’m gonna write what I’ve noticed and comments. This is me trying to be constructive and not judgemental or offensive in any way and I apologise if it comes off that way. It seems like translators have a few issues. I’m trying to provide constructive criticism so one solution, off the top of my head, to the above issues would be to provide some kind of schedule for translation updates. This will clear up 2 of the above problems for sure. Motivation is always a personal thing, so there’s no way I can speak for you guys. By having a schedule, you can set translations to be something like a chapter release every week which will allow translators to take their time translating and will let readers know when to come searching. The every week aspect of my suggestion should be changed to fit the translator’s personal commitments, like work and whatnot. As such you guys would hopefully receive a stable reader-base and the translators free up more time as weeks stack up if they’ve decided to translate extra chapters ahead of time. Releasing extra chapters in bulk would be exciting for readers as well. Sorry for the wall of text, but I’m really interested in the continuation of ST and it’s frustrating getting no information or updates from the site in terms of management. Yes I can go learn chinese and read the raws, but obviously I wouldn’t be here if I wanted to or had the time to do that. Your site wouldn’t exist if you didn’t have the notion of sharing your translations for reasons unbeknownst by anyone but yourselves. Out of all the reasons I could possibly think of, improving management and creating a schedule will nonetheless support that initial goal and drive that caused you to create this site. 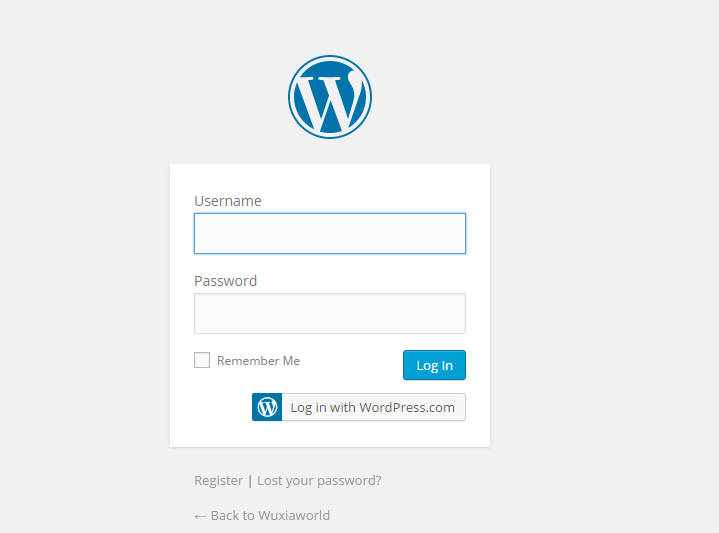 I was just wondering if there’s a reason users can’t log in with their wordpress.com accounts? Is there a particular reason it’s not allowed for this website? I think thats a wordpress issue not sure on what it is but like you have to make an account per site. I think it’s something different actually. It might be because of the difference between wordpress(. )com and wordpress(.)org. As I see it this website was made with the help of the .org version. I had the same problem but the main problem for me was that I didn’t even receive the confirmation e-mail on my first try to register so I needed to use my secondary e-mail. At least I think this is what he means, while this website’s login form is pretty much it’s lacking the ‘Log in with WordPress.com’ button. But that isn’t to much of a big problem in my opinion. Oh, really? I’ve seen some websites powered by wordpress.org that allow a user of wordpress.com to use their account for both websites when commenting, though…must besome technical thing…thanks for replying! Any plans to ever update this? how to join ur web? What happened to the Mad God chapters? For this FAQ, can’t you just post parts of the Index pages of other translations (like the donating parts and the “chapters in queue” and such) to fill it up even a little so it doesn’t look so useless? I GET IT! 7 Faqs, different and yet the same, Blank and yet full of color, Black and yet white… these 7 Faqs… Shall be my own path to immortality! You cant kill me for i am you, you cant hit me for i am your weapon, you cant see me for i do not exist. I am a Faq, at first glance i am nothing, but if you look closer i am everything. You may have mastered the dao, but i have created it. You may be powerfull, but in front of me you are a mere ant. I am you, but you arent me. I can see you, but you cant see me, i can injure you, but you cant hit me. This. This is what a true Immortal is! $60 per chapter and donation money always goes to translator if you click on link it even shows that its sending to him. Why did the site crash? I couldn’t access it for 2 days (*world ending). Then only the destined will see it.